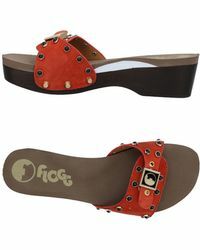 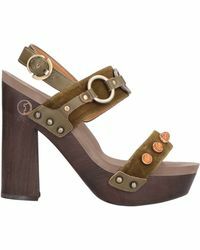 Flogg is a revolutionary new footwear label launched in 2013 by veteran shoe designer Carol de Leon. 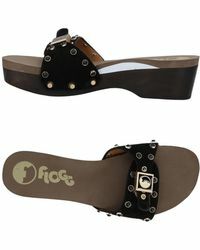 Combining the vintage style of a clog with the pillow-like comfort a flip-flop, the brand offers up a line of quirky hybrid shoes reflecting the style and attitude of the Californian lifestyle 'ideal for dancing the night away in flawless style. 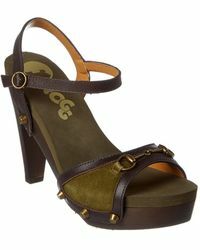 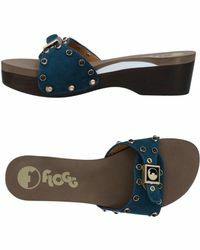 Stay comfortable and stylish from morning 'til night with this must-have collection of Flogg heels. 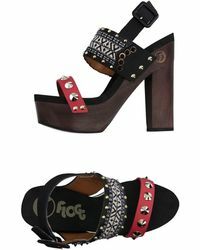 Expect a line of wooden block heels, platforms and wedges, updated with acid-bright colours, exotic prints and glimmering, party-ready metallics.